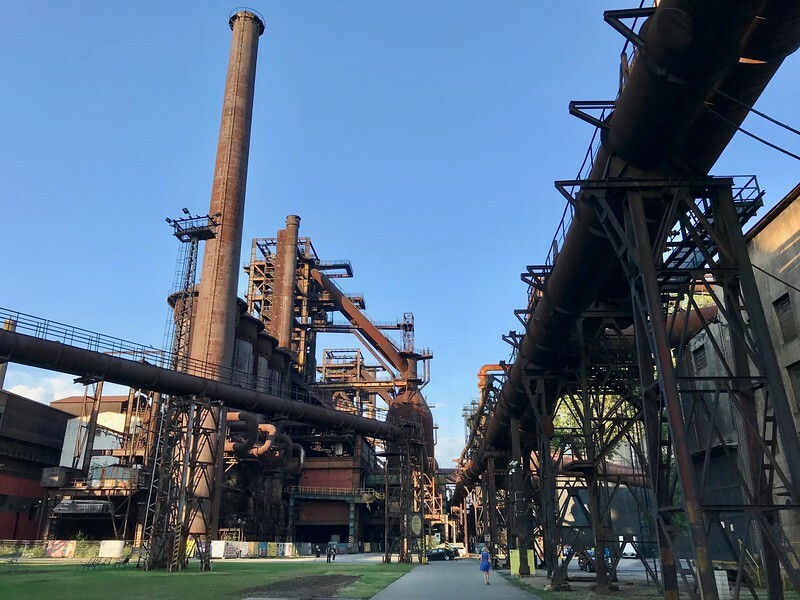 Ostrava is to the Czech Republic as Pittsburgh is to the United States. It is a city that used to be defined by the large coal deposits in the area and the large steel mills that consumed that coal. Twenty years ago you could not where a white shirt in the city without coming home with a layer of soot on it, but that was then. 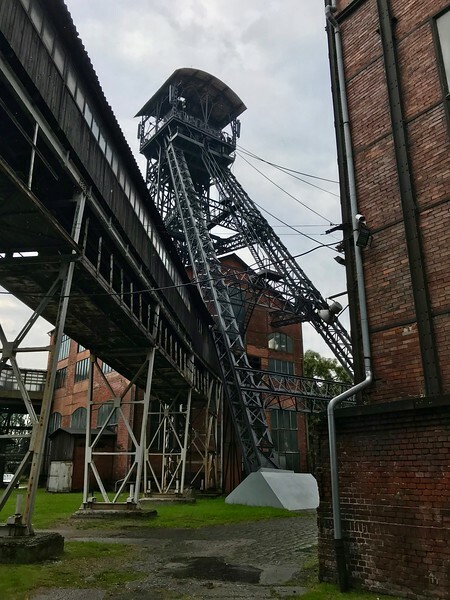 There used to be 4 major mining factories which all gathered around 20 individual mines, but all of the mines have closed in Ostrava. Like Pittsburgh it is a city that is reinventing itself but it is still filled with old shut down mines and mills. The city is also crisscrossed with large metal pipes connecting nearby now silent processing plants as if it were the home of giant hamsters. One of the most interesting features of the city is the Gong where one of those old mills was repurposed as a conference center. 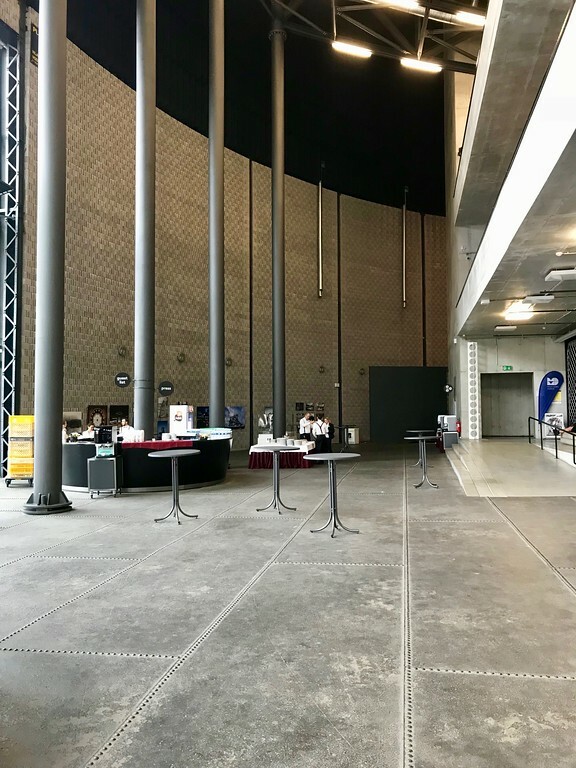 It still has the hamster pipes and towers but its towers now are for site seeing and an old metal natural gas storage tank has been converted into a stunning conference center. The ground level floor is still riveted steel sheets. 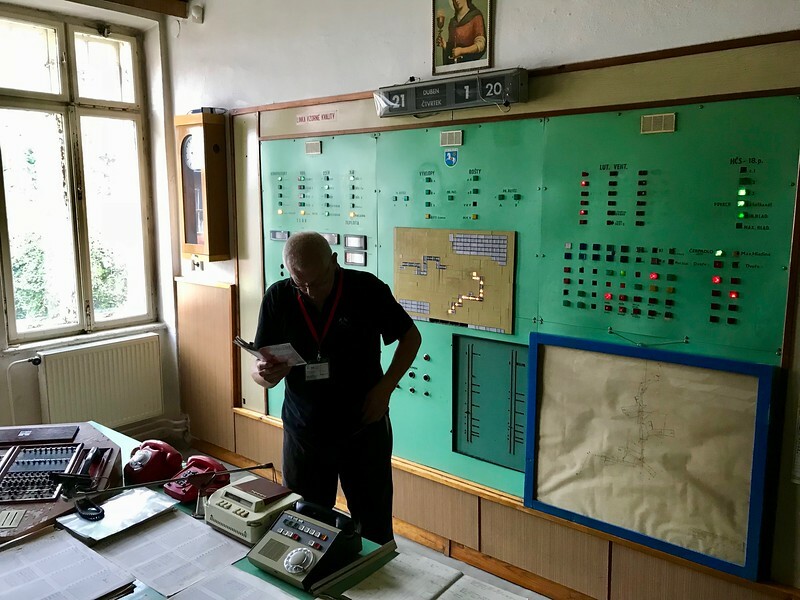 One of the best ways to appreciate the history of Ostrava is to visit the Michal Mine on the edge of town. This mine was sealed in 1993, and while you can’t enter the mine itself, you can get a guided tour of all the above ground facilities. Our guide was a former foreman in the mine who spoke knowledgeably about the day to day life of a miner. 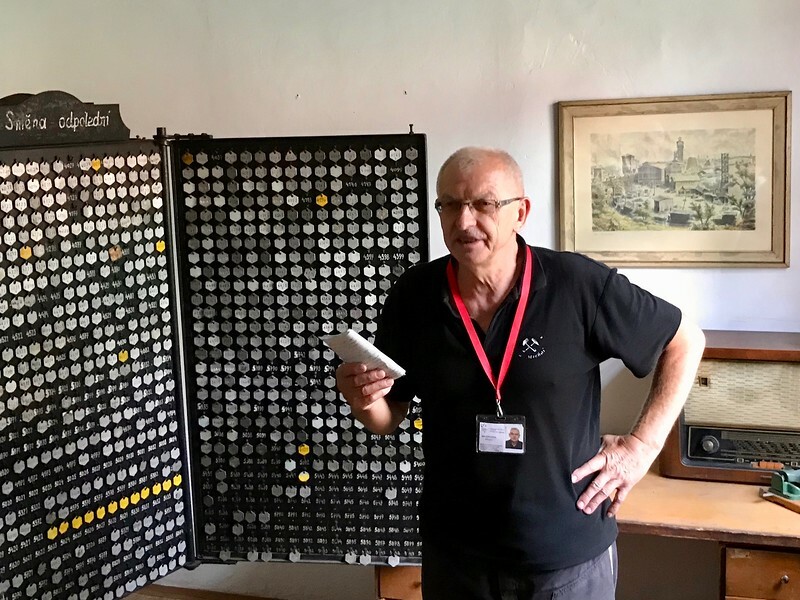 We entered past the time clock in the entrance building and saw where each miner had a metal tag that would indicate whether they were at work or not. The 3 different shifts had different shaped tags. This was a large mine and mining has inherent dangers. You can imagine it would be useful to know where people were on those difficult days when something went wrong. We passed through the shower room where the miners would change from their street clothes into the coveralls that they would wear into the mine. Each man kept his street clothes on a hook that could be raised up out of the way. 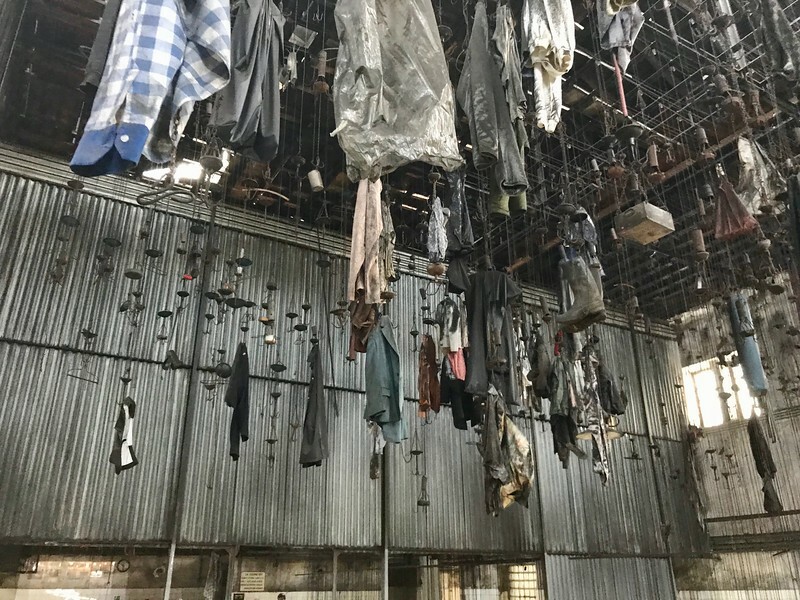 The room is still decorated with old clothes hanging from the ceiling and looks like a memorial to miners who didn’t return. We looked at the maps in the engineering office that showed which coal seams had been mined in which years. 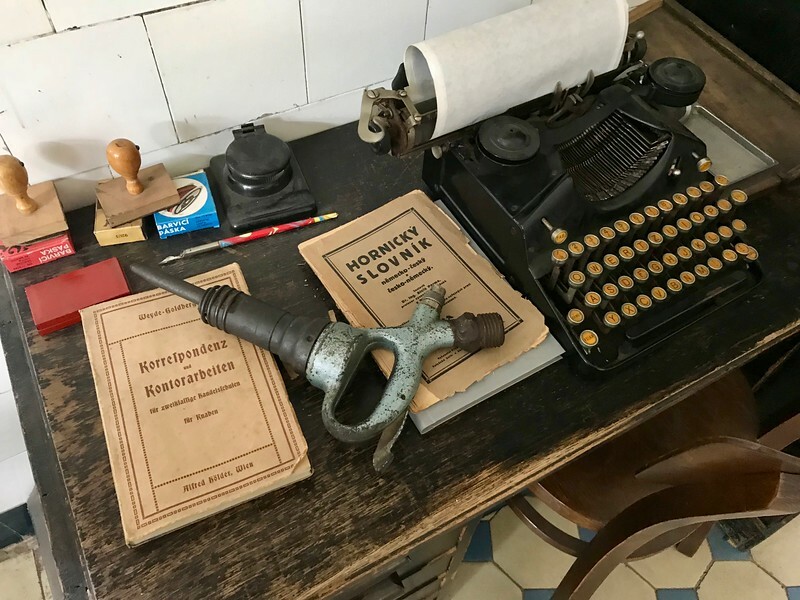 The office was filled with the tools of the trade like lamps, drills, typewriters, mining text books, rock hammers and surveying equipment. 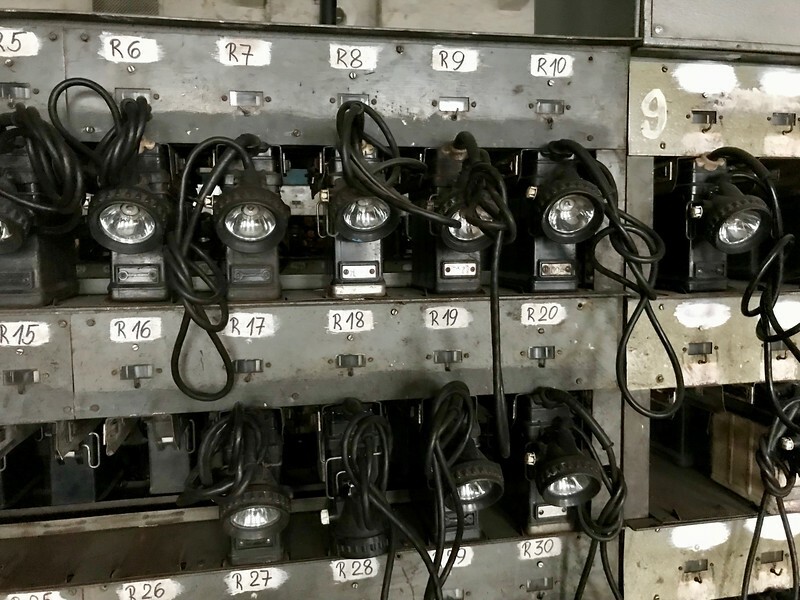 The older lamps had an open flame that had to be shielded behind a mesh so that it was not exposed to flammable coal dust. I think if I had been a miner I would have been glad when those were replaced eventually with electric lamps. The control center is filled with phones and with a series of panels filled with indicator lights. It was the nerve center of the operation where they could scan for trouble and monitor the progress of the mining operation. We tasted some local liquor in the cantina where miners could purchase their mid-day meal. The equipment room is still standing by with banks of ventilators and industrial flashlights ready to recharge and deploy. 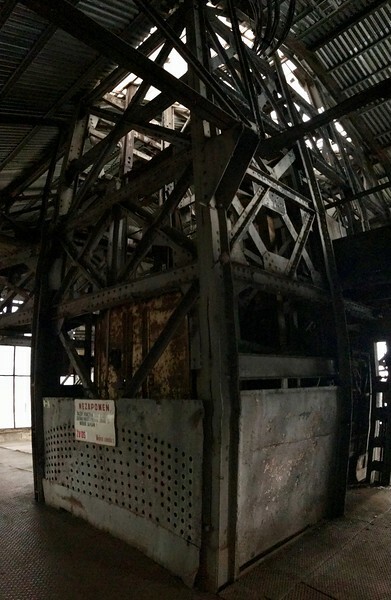 The most iconic structure in a mine is the tower which houses the multistory elevator that can be used to move men up and down and material up and out of the mine. One of the levels connects to rail tracks so that small ore cars can be raised up out of the mine and sent onto the processing plant. The machine rooms that operated the elevator are located in a nearby building. 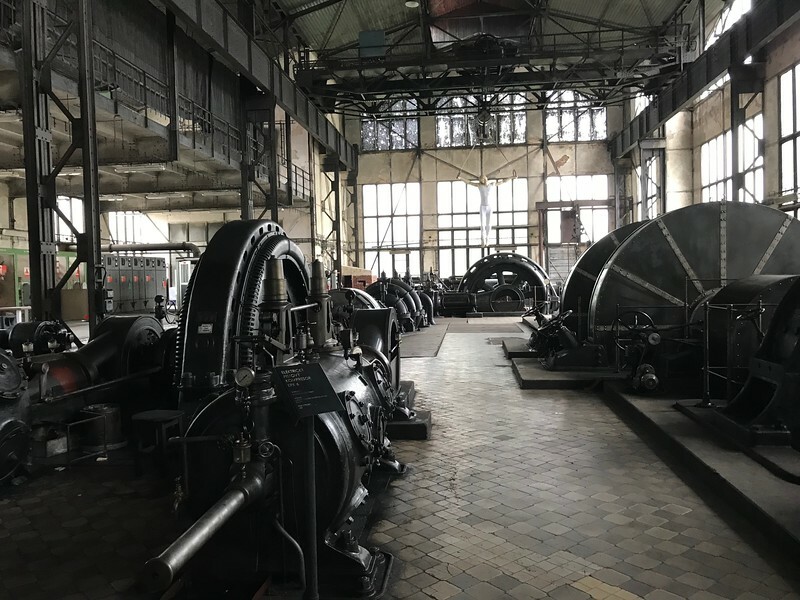 It is silent now but certainly these massive machines would have filled the room with a constant hum, rattle and bang of industry. We got a small taste of that when our guide fired up one of the steam engines. 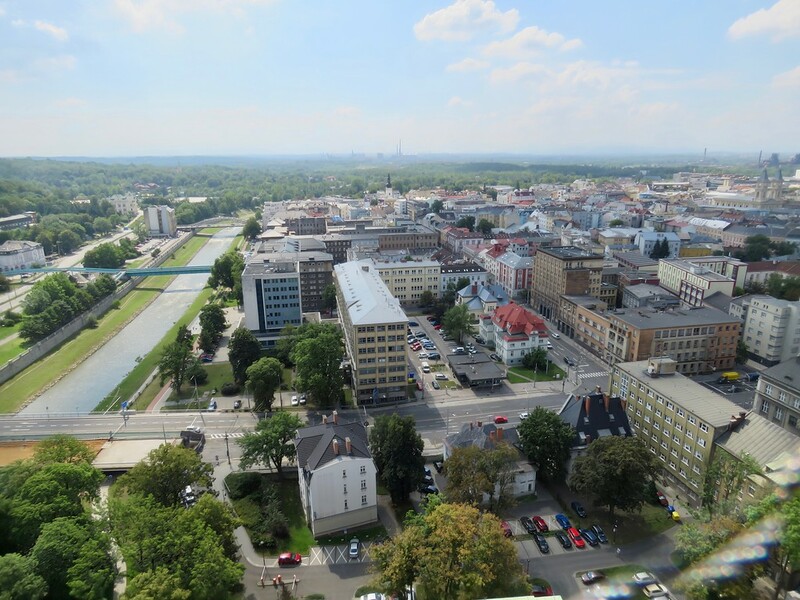 During the days of communist rule, a new neighborhood, Poruba, was built a ways away from downtown Ostrava. The idea was to build the perfect worker’s paradise, or at least to get people away from the mines and mills a bit where the air was fresher. 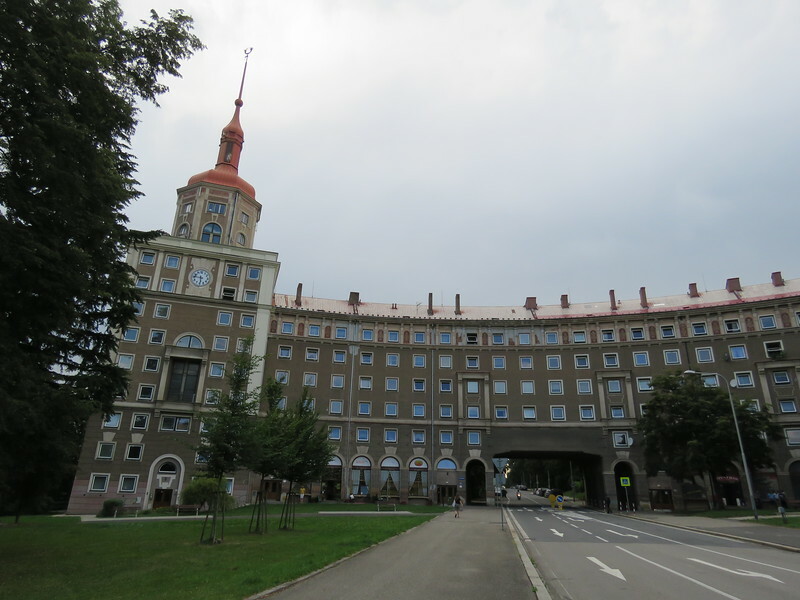 The architect designed in these buildings in an older Czech style instead of the drab soviet style. For a great view of the city you can visit City Hall which has a clock tower you can visit for free. This tower is steel as is appropriate for a city built on coal and steel. It is open 9am – 7pm. There is a lovely shopping area just south of the New Town Hall with a number of restaurants and shops. This area is not as lively at night. 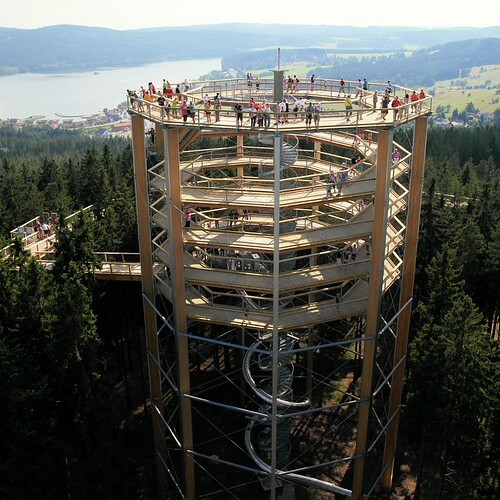 You can also find the town museum and a toy museum in this area as well as a casino. 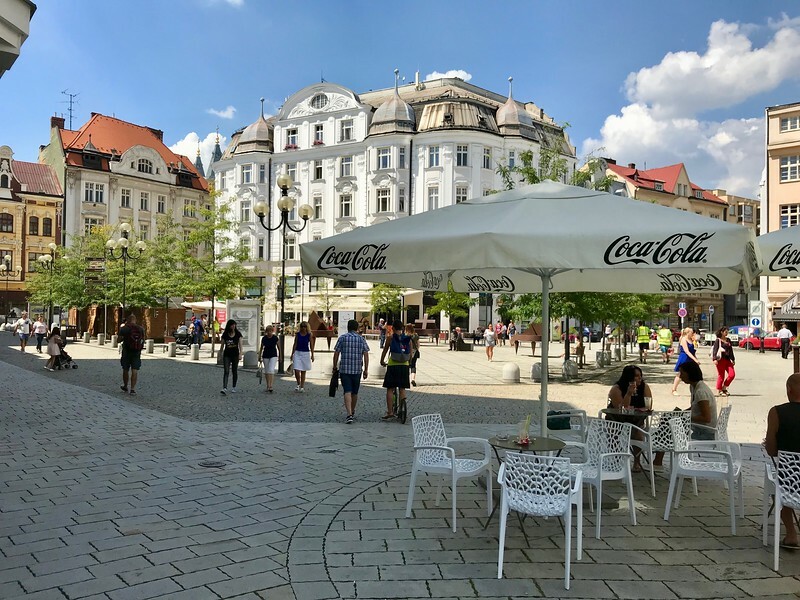 If you are looking for nightlife, bars and cheap food, Stodolní street is hoping at night with places like Modrý myš, Bernie’s, Sherlock’s, Zadní vrátka, Harley’s retro bar and Desperado Tequila bar. As of this writing Lyft and Uber are not available in Ostrava. Ostrava has a good street car and bus system. The iDOS app can help you access schedules for street cars and buses. I stayed at the Park Inn by Radisson which is a lovely modern hotel, not far from the city center. 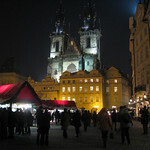 It is about a 30 minute walk from the New Town Hall. It is a lovely modern hotel with a great breakfast buffet. 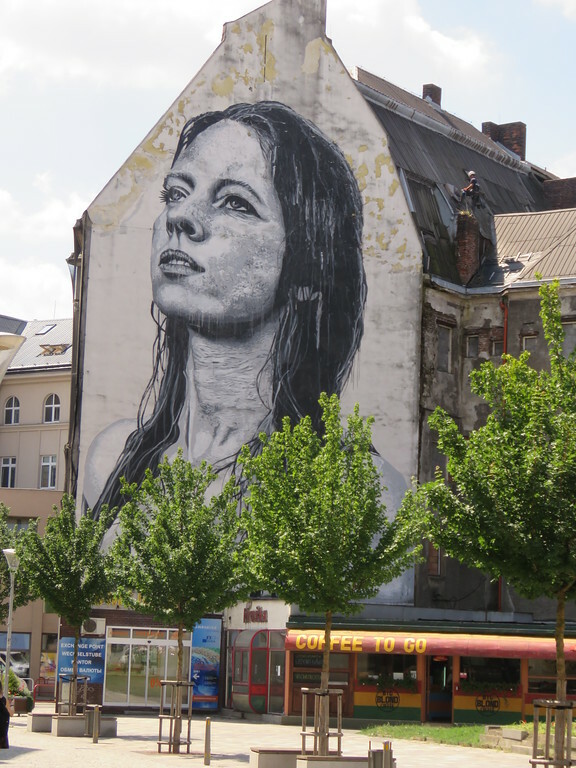 Ostrava is not an expensive city so you may be surprised at the price. 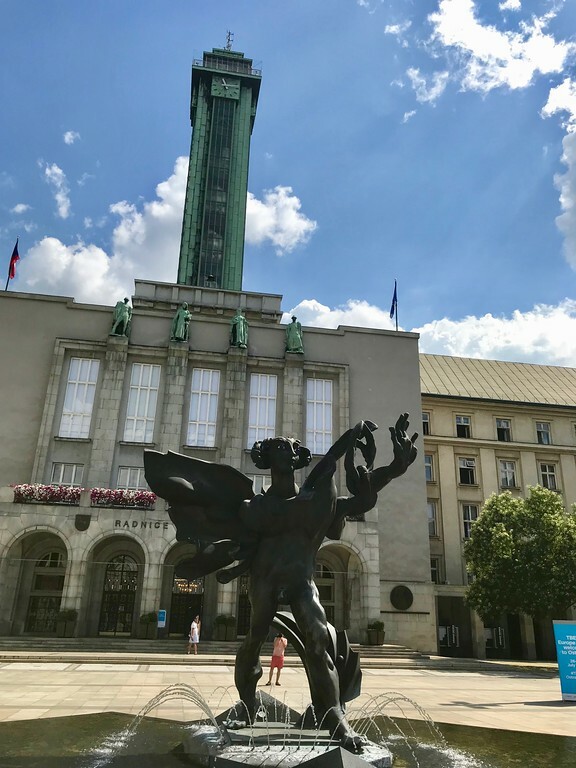 Ostrava won’t soon eclipse Prague as a destination for tourism in the Czech Republic, but it may be the best place in the Czech Republic to get a picture into Czech industry in the time of communism. These days, you can even wear a white shirt.